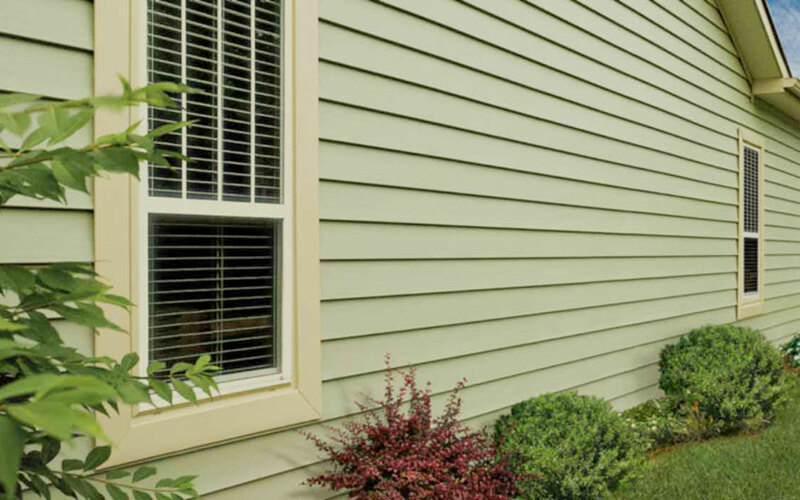 DunRite offers a variety of quality siding products to meet your needs including all vinyl and aluminum siding products and accessories offered by Alside. We feature Alside Charter Oak, Odyssey, and Coventry panels. The Odyssey panel includes a double-thick nail hem, which gives the panel exceptional wall-gripping strength, capable of withstanding the catastrophic winds that can strike Northeast Ohio. Charter Oak features a TriBeam design system that provides extra-stiff support to enable easy installation and superior rigidity. The Coventry panel features a raised grain for a realistic look and feel. We offer a full range of fascia & soffit to go with any siding installation. We also offer a full range of gutter and downspout services. Gutters are usually taken for granted until it rains! If neglected, they can cause extensive damage to both the outside and inside of your home. Roofing and Gutters go hand-in-hand and DunRite Exteriors has installed tens of thousands of feet of gutter in Northeast Ohio. Let us put our expertise to work for you – with or without a Roof. Call DunRite Exteriors today for a FREE NO-OBLIGATION ESTIMATE for a New Gutter System, Gutter Protection, or Gutter Repair. Visit our GUTTERS page for complete details on Gutter-Filter, Standard and K Guard Leaf Free Gutter Systems.